On your 'Children' page, clicking the 'Sort by:' button will show you a drop-down menu with various ways to arrange the children on that page. You can sort by: age, name, latest story, or pending invites. This is useful for larger centres who need to find specific children on this page quickly. 'Unconsented' shows the children whose parents have signed up but not agreed to the consent form. Learn more. 'Pending' shows the children whose parents you've invited but who have not yet accepted. Learn more. 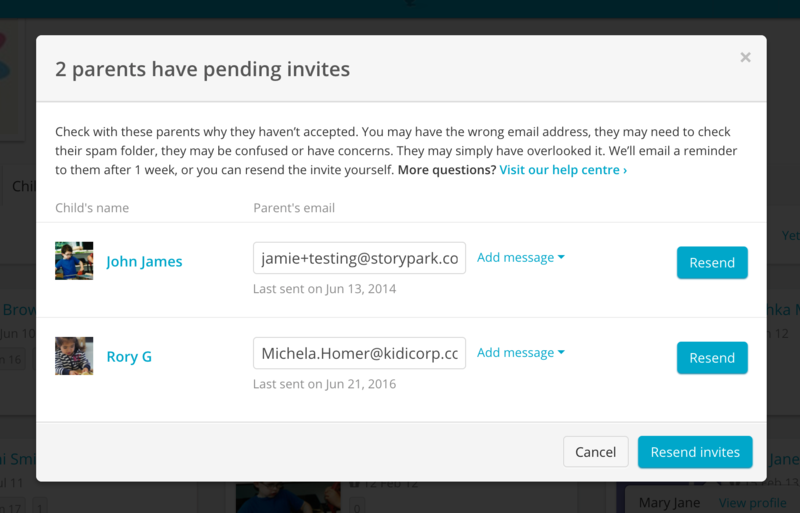 'Yet to invite' shows the children who have been added but whose parents have not yet been invited. Learn more. Clicking any of these will open a pop-up window showing the list of parents and the next steps you can take.